The Nationals won a game they needed to win and won the series, but it was not pretty. You could describe it as pretty ugly the way it ended. Entering the bottom of the 7th inning, the Nats were up by a score of 12-to-1. However in this blowout game, manager Dave Martinez left Max Scherzer in the game, and he hit the wall quickly and unfortunately gave up 3 hits to begin the 7th inning and then before you knew it Matt Grace was in the game and the score was 12-6. Scherzer’s final line was 6 1/3 innings with 4 earned runs and 100 pitches thrown. Trevor Rosenthal got to start the 8th inning, but he hit the first batter he faced then threw two wild pitches and a walk and was pulled. Rosenthal gave any baseball fans who are old enough a flashback to when Rick Ankiel’s career as a pitcher ended when he could no longer find the plate. Sometimes the game becomes all about the mental side. Luckily Wander Suero got 3 outs with no runs scoring. Joe ROss got the 9th inning but he gave up a 3-run home run to Michael Conforto and was replaced by Sean Doolittle who had to close out a 12-9 win. The Nats won their first series of the season, and returned to the .500 mark. 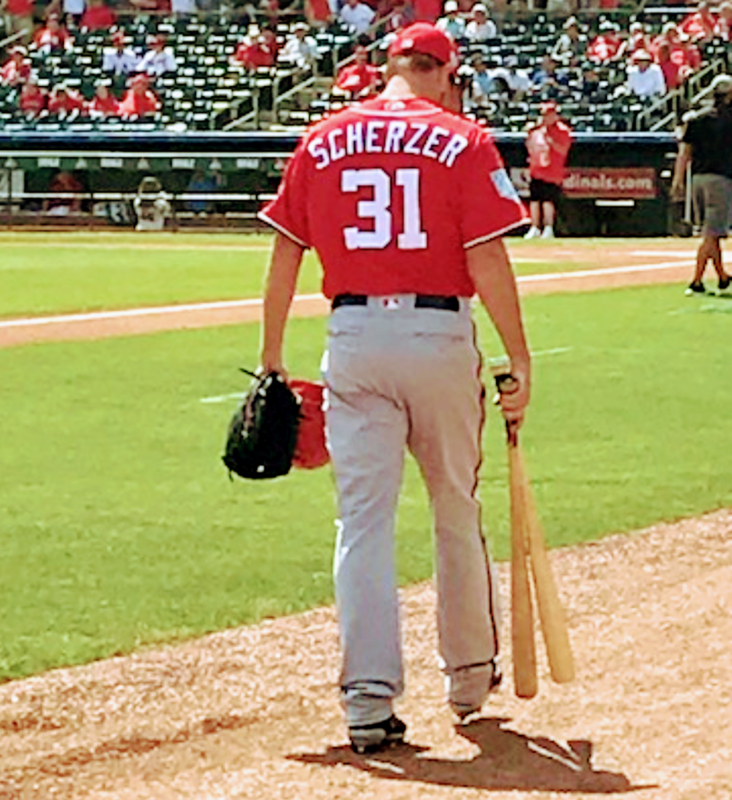 Max Scherzer got his first runs of support of the season and it was Max who drove in the first run with a single. I joked about it before the game that if Max wanted runs he might have to put them on the board. Well he did and his teammates followed with 11 more runs and mostly due to the Mets issuing 12 walks on the day. The big blow of the game came off of the bat of Anthony Rendon who hit a 3-run home run. The Nationals only had 8 hits in the game. But with all the good we saw today, the issue continues to be what is wrong with this bullpen and is it fixable? Through this eighth game, the Nationals are now 3-and-3 against the New York Mets and 1-and-1 against the Philadelphia Phillies with 3-games coming up starting tomorrow in the City of Brotherly Love.